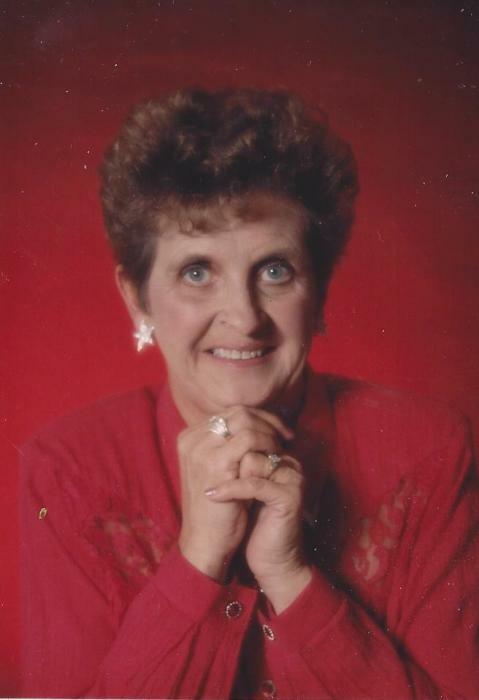 Brenda Kaye Griffith, age 76 of Belle, passed away on Thursday, March 28, 2019, at the Frene Valley Healthcare in Owensville, surrounded by her loving family and friends. Brenda was born September 21, 1942, near Bland, Mo, to Lowell and Georgia (Pointer) Terrill. On January 21, 1963, Brenda was united in marriage to Gary L. Griffith. He survives at their home near Belle. Gary and Brenda owned and operated Gary’s Bar in Belle for several years before moving to Jefferson City, Mo, where she was employed out of the Laborer’s Local # 662. She worked many construction jobs before going into the office of Secretary at Laborer’s Local # 662. She retired from that position in 2001. She enjoyed helping Gary with the hay, cattle, and whatever needed to be done. She loved visiting with her family, friends, and neighbors, and playing Bingo. Brenda enjoyed traveling and vacations with Gary and family, but best of all attending the State Fair in Sedalia every year for the week. Brenda was baptized and a member of the Bland Baptist Church. After moving back to their farm, she attended College Hill Baptist Church. Brenda is survived by her loving husband of 56 years, Gary, two sons, Kelly Griffith and Kent Griffith, both of Belle; two grandsons, Tyler Griffith and Trevor Griffith, both of Belle; five granddaughters, Daris Griffith, and fiancé Ryan Davis of Argyle, Paige Griffith of Henley, Maggie Griffith of California, Lacy Griffith and fiancé E.J. Lynch of Jefferson City, Tommi Kaye Jett (Jeremy Paige) of Joliet, IL; eight great grandsons, Cohen, Gage, Bentley, Peyton, Honor, Gavin, Zion, and Tyren; four great granddaughters, Briley, Kenleigh, Adrianne, and Makhia; two sisters, Shirley Ulrich of Eureka, and Darlene (Dot) Abboud of Bridgeport, TX; and a special “sister”, Brenda Rakestraw of Belle, as well as many nieces and nephews. Brenda was preceded in death by her parents Lowell and Georgia (Pointer) Terrill; one son, Kurtis Griffith; three sisters and five brothers-in-law, Norman Dean (Don) Crider, Ragene (Gene) Vaughan, Mary Lou (Linden) Biehl, Arnold Ulrich, and Matthew Abboud. Visitation will be held on Sunday, March 31, 2019 at Sassmann’s Chapel in Belle from 3:00 p.m. until 6:00 p.m.
Funeral services will be on Monday, April 1, 2019 at First Baptist Church in Belle beginning at 10:00 a.m. with Robert Trigo officiating. Interment will be in the Countryside Memorial Gardens near Bland.